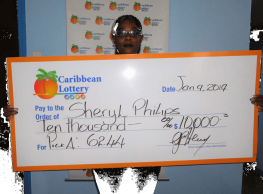 Shirley Mendoca is St. Maarten's latest Lucky Pick jackpot $38,000 winner! 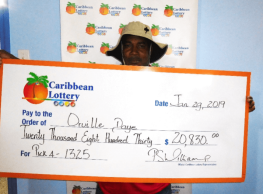 Her sister Hedimaleen Siem-A-Joe collected the jackpot prize on her behalf. 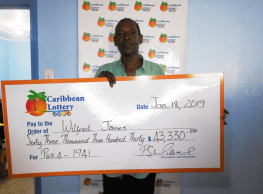 The lucky ticket for the draw held on February 1st was purchased at B&J Store, A T Illidge. 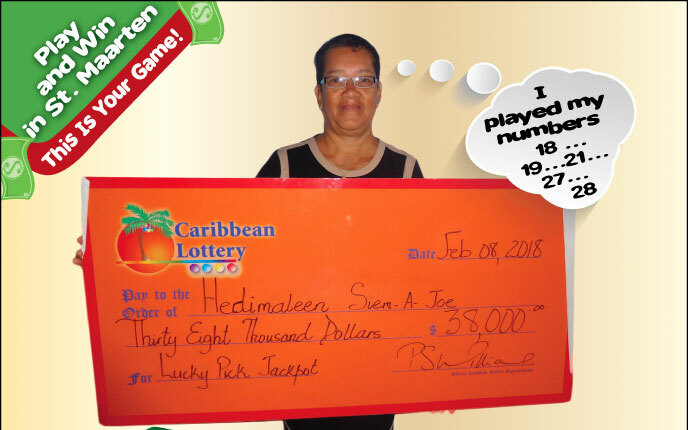 Ms. Mendonca PLans to use her winnings to pay off her mortgage. Her advice to players, "Everyone got an extra $1 in their pocket, so you never know,buy a chance and you could win". 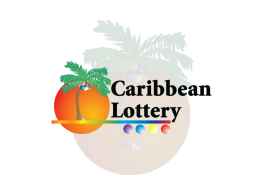 The Caribbean Lottery congratulates Ms. Mendonca on her big win!